Bhai Dooj is an auspicious occasion which is celebrated with great fervour and happiness all over the country. Brothers and sisters eagerly wait for this festival which strengthens the bond of love and care between them by recalling all the sweet memories of childhood and spending some time with each other. And like every festival, this one has a beginning too, one which is truly engulfed in mythologies, more than one, with each narrating a different story as how this festival came to be celebrated. This is the most famous legend which is linked with the celebration of Bhai Dooj. According to it, once, Yamraja went to meet his sister Yamuna after a long time. When he reached there, she was very happy to see him and put tika on his forehead, performing aarti, and offered him sweets to eat and gave him a small gift as a token of love. She treated him with appetizing meal. Yamraja was so pleased to see the love and care of his sister that he declared that any brother, who receives tilak from his sister on this day, will never be sent to the hell and will live a long life. Since then the custom of celebrating Bhai Dooj started and this is why it is also known as Yama Dwitiya. Another legend is linked with Lord Krishna when he went to meet his sister Subhadra after killing the demon Narakasura. Subhadra was very happy to see her brother and she gave a warm welcome to him with flowers and by performing aarti and putting tika on his forehead as a mark of protection and by offering him sweets to eat. This legend then gave birth to the festival of Bhai Dooj, stating that sisters, no matter what, will pray for the well being and long life of their brothers. This legend is related to Lord Mahavira, the 24th Tirthankara of Jainism. When he attained nirvana, his brother King Nandivardhan started missing him and became very much upset. At that time he was consoled by his sister Sudarshana, who took proper care of her brother. Since that time, brothers started giving love and respect to their sisters. On the auspicious day of Bhai Dooj, sisters are given beautiful gifts and honour as a token of love. On the day of the festival, sisters invite their brothers for a sumptuous meal often including their favourite dishes. The whole ceremony signifies the duty of a brother to protect his sister, as well as a sister’s blessings for her brother. Carrying forward the ceremony in traditional style, sisters perform aarti for their brother and apply a red tika on the brother’s forehead. Thistika ceremony on the occasion of Bhai Bij signifies the sister’s sincerest prayers for the long and happy life of her brother. In return brothers bless their sisters and treat them also with gifts or cash. As it is customary in Haryana, Maharashtra to celebrate the auspicious occasion of Bhau-beej, women who do not have a brother worship the moon-god instead. They apply mehendi on girls as their tradition. The sister, whose brother lives far away from her and cannot come to her house, sends her sincerest prayers for the long and happy life of her brother through the moon-god. She performs aarti for the moon. This is the reason why children of Hindu parents affectionately call the moon Chandamama (Chanda means moon and mama means mother’s brother). If a child is suffering from hiccups, make the child lick honey (2 drops). It will relieve the child from hiccups. If a child is suffering from Marasmus apply paste of Multani Mitti (Fuller’s earth) on the whole body of the child. After three hours give him a hot bath. Continue it for 11 days. It will help the child. If the child is not sleeping at night, put a small cloth packet of dry goat-dung below his head. Child will sleep well. put a whole Radish along with leaves near child’s head. If the leaves turn yellow at night, replace the radish with a fresh one. Continue this process for four days. Drop 400 grams Gram dal in flowing water. If your child does not drink milk, or vomits after drinking; fill a Earthen pot with milk on a Saturday or Sunday, take it seven times around the head of the child and make a black dog drink it. This will make the child drink milk properly. If a child is frightened while sleeping, take a piece of alum, pronounce “Shree Ram Bhakt Hanuman ki Jai” and put is below the head of the child. This prevent the startling of the child. If a child urinates in the bed, while sleeping, apply a paste of saffron around the navel. take a piece of alum, move it around the child from head to toe, seven times and burn it in the fire Or Take some salt, move it from head to toe of the child seven times, and flow it in running water. Go to Lord Hanuman Temple on Tuesday and Saturday, pray to Lord Hanuman and take some Sindoor off the shoulder of right hand of the Lord Hanuman Idol and apply it on the child’s forehead. It will prevent the bad effect on an evil eye. 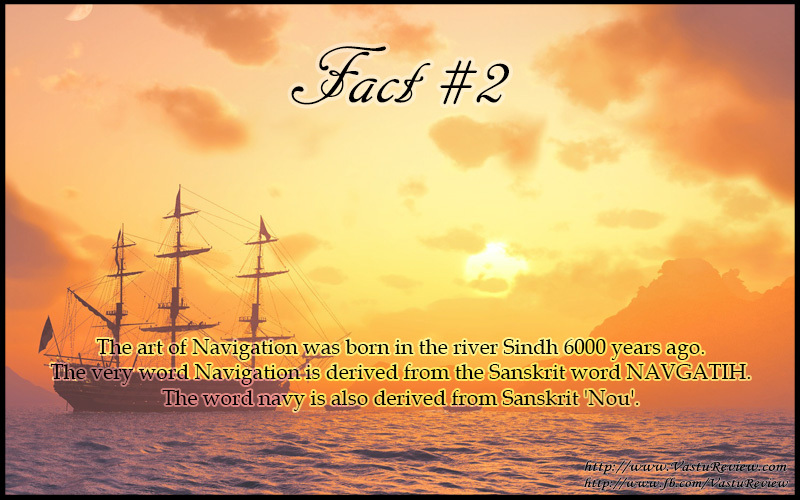 The art of Navigation was born in the river Sindh 6000 years ago. The very word Navigation is derived from the Sanskrit word NAVGATIH. The word navy is also derived from Sanskrit ‘Nou’. Bells are integral part of Temples, Ringing the bell while entering the temple, leaving the temple and while chanting prayers is of utmost importance. Bells are not only used it temples but are a big part of our morning prayers and evening prayers. Firstly let us discuss the metallurgy of bells and what makes it sound so distinct. Bells are cast from an alloy of Copper, Zinc, Nickel, Chromium, Cadmium and Manganese. These metals need to mixed in a precise ration to manufacture a Temple Bell. Each of these Bells make a distinct sound which creates synchronise the Left and Right brain, making it free from thoughts. Temple bell produces a sharp but lasting sound which last at-least 7 seconds and this is long enough for it to touch the seven chakras or seven healing centers of the body. Our mind free of thoughts enters a Trance state (a state of ecstasy or mystic absorption so intense as to cause a temporary loss of consciousness at the earthly level) where we become highly receptive and the activity of our subconscious mind is increased. This state is similar to the state of mind attained by years of deep meditation. This refreshes and re-energize our brain working like an anti dot. This helps us to forget about our earthly troubles and fine tunes our body chakras helping us to live a longer and better life. When you go out to buy a bell for your home its important to check if its workmanship is perfect and the bell has characteristics of a temple bell. To do so simply hold the bell near your ears and stuck it. If you feel thought less and detached from the physical world for the next few seconds then you have found what you need. If not then you need to check the next piece. “Har Har Mahadev” is one of the most popular chants chanted by devotees of Lord Shiva, but I am surprised to know thar near to none know the origin of the chant or its meaning. So I decided to write about it and on looking further into it I found two believes to be most popular but both are misinterpretations.